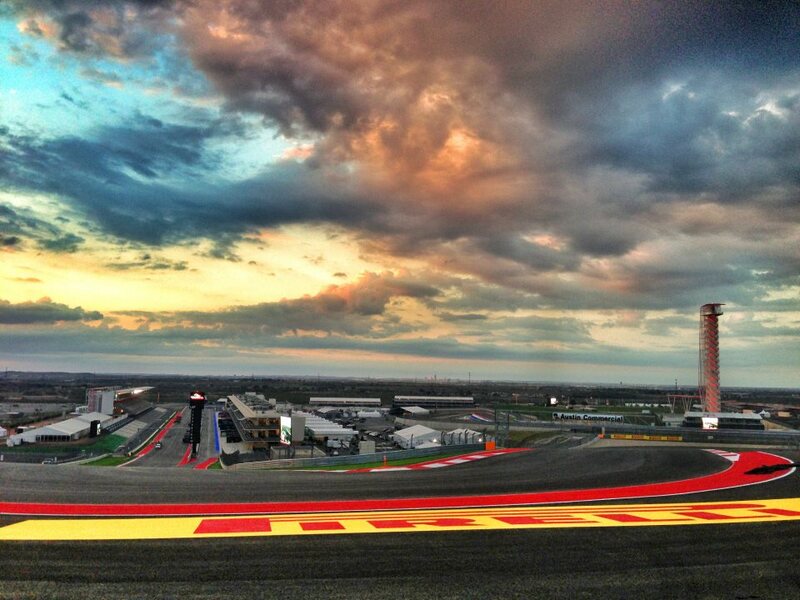 The inaugural Formula 1 race at the fabulous Circuit of the Americas was an all-round success. The United States Grand Prix combined all the necessary elements to create a fantastic environment for fans, teams and media. The track has state-of-the-art facilities, produces great racing and is located close to a medium-sized city like Austin. The Austinites know how to put on a party and have thrown everything at their event to make the fan experience as thrilling as possible. The local organisers were smart enough to hire the right, experienced people and take their advice on how to organise an F1 grand prix. The event was all but flawless, which is an incredible achievement considering it was a first-time event dealing with the enormous logistical complexities of a Formula 1 paddock. The warm response by the locals and the satisfying turnout at the wide array of events, concerts and demos at the Austin Fan Fest left both fans and paddock regulars craving for more. Austin has been an eye-opener and proved to be a benchmark for any future Formula 1 grand prix. The U.S. Grand Prix reboot is an important first victory in a renewed bid by F1 supremo Bernie Ecclestone to conquer the American market. A second race in the States will take place in 2014 on the streets of New Jersey, while some sources suggest a possible return to Long Beach as a third race on American soil. A significant amount of fans in Austin sported Mexican attire, cheering on their compatriot Sergio Pérez. Boosted by the extremely wealthy Slim family, a return to Mexico is just around the corner and promises to be a smashing hit. Outside the Americas, Russia has penciled in a race in Sochi in 2014 and both Thailand and Indonesia are too eyeing a bid to join the likes of India, Singapore and Malaysia on the calendar. While emerging economies are discovering the economic potential in hosting Formula 1, it is hard to see how Europe will remain competitive. Plenty of ink has been spilled over the dwindling number of European races, but with the current economic and political climate as it is, that number (seven) is bound to drop even more. As much as everyone in racing loves classic layouts like Spa-Francorchamps, there little money or political desire to support local organisers, let alone upgrade the ageing facilities of European circuits to the levels seen in Austin or Asia. It is not hard to point out why F1 races in Melbourne, Montreal, Singapore and Austin are the most loved events on the calendar. They combine a challenging track with their vicinity to a buzzing city. They are able to create a fan experience that Formula 1 has long been lacking. Coming off the back of the weekend’s events in Austin, the thought of returning to places like Magny-Cours in the future is utterly depressing. Barcelona and Budapest, hosts of the Spanish and Hungarian Grand Prix respectively, are arguably two of Europe’s finest cities. But they are major tourist destination and in the city centre there are hardly any clues there’s a grand prix going on. The races in Silverstone, which has invested in a much-needed revamp, and Monza are popular exceptions because of their strong local fanbase and involvement with the likes of Lewis Hamilton, Jenson Button and Ferrari respectively drawing great crowds. F1 has a bad record of fan interaction, especially compared to fan-friendly environments like NASCAR and IndyCar. But in Austin the sport finally proved it doesn’t have to be that way. One can only hope that next year Circuit of the Americas and Austin can follow up on the astonishing success of their inaugural blockbuster. The event they have achieved to put together is the future of Formula 1.